New Year’s is full of resolutions, and many of them boil down to wanting to feel healthier and happier. The holidays themselves can be pretty stressful, and getting back into routines and work and school can be just as hectic. Figuring out how to relieve and eliminate stress is essential to being happy and healthy. When you sign up for dance classes at K2 Dance Studios in Corona, you’ll be able to manage stress in one of the best ways possible. Find some tips on making this happen, and sign up for dance classes — currently 50% off for new members! Endorphins are a type of neurotransmitter (or in other words, a chemical) that travels across neurons in your nervous system. They’ve been proven to give us significant mood boosts, and can even act as a painkiller. Endorphins reduce stress, and are released throughout our body for a number of reasons — one of which being physical activity. 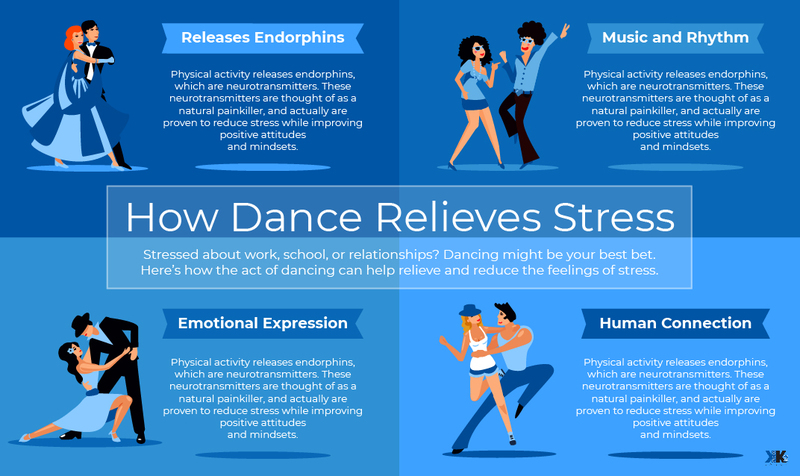 When you sign up for dance classes — be it hip-hop, tap, ballet, jazz, or another class — you’re making a commitment to physical activity, which will release these stress-relieving neurotransmitters. There’s hardly a better way to feel good and make stress go away in the process than dancing! Not only is the act of dance a great way to relieve stress, but music also has tons of mood-boosting benefits. In fact, a study from Stanford University said that “listening to music seems to be able to change brain functioning to the same extent as medication.” Dancing to music helps you connect to your body, and to escape from some of the stressors in day-to-day life. Who hasn’t felt amazing after dancing their heart out to some favorite tunes? Being able to express oneself is one of the key ways to relieve stress, and dance is a great way to do that. Letting your body move and flow to the music is a cathartic experience, and it comes as no surprise why people feel amazing after dancing. Dance classes are some of the best ways to make this experience a regular thing. Dancing with someone, whether it’s with a partner or in a routine, creates an emphasis on human connection. When you come to dance classes at K2 Dance Studios, you’re going to make memories and new friends. Sharing in the ups and downs of life with people that you’re close to is about as good as a stress reliever as it gets. 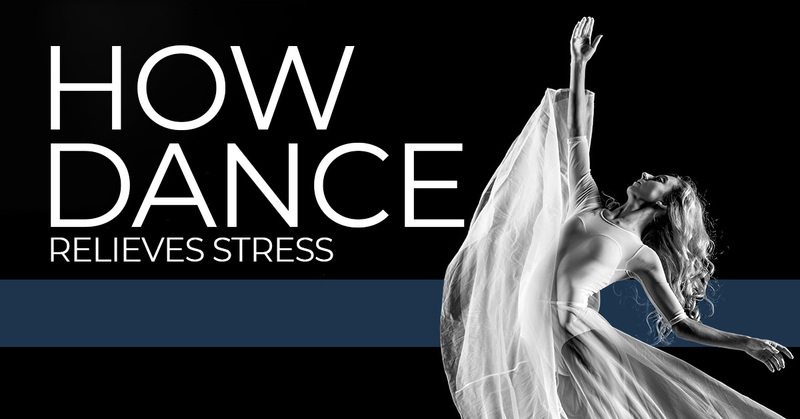 Whereas dance is a physical and emotional expression, being able to express your thoughts and feelings to the ones you love is an incomparable feeling — and it’s a great way to process and work through the stress in your life. Luckily, the dance classes at K2 offer all of the above. Human connection, emotional expression, a chance to release endorphins and ultimately, a chance to relieve stress. When you teach your children how to manage and cope with stress in their younger years, you’re teaching an invaluable life lesson that they’ll take with them throughout their life. Dance and stress relief go hand in hand, and K2 Dance Studios is the place to dance your cares away. Sign up for classes today at our Corona studio!